Crash the Net is a weekly web feature appearing as a written column AND as a podcast on pittsburghpenguins.com. Click here to submit a question. QUESTION: I think I have Ray Shero's grand plan figured out and I want to get your feedback. I think his first year as the Pens GM he just wants to get to know the team and make his own opinions on the players. He figures he will give Crosby, Malkin, Whitney, Fleury and the rest of the young team another year to mature into truely world class players and then next offseason make some moves in what he belives will be a better free agent pool than this years. By next summer all the drama with the arena and ownership will be done and the Penguins with a couple of signings could be true contenders. What do you think? BOB GROVE: There's no question that Shero is still feeling his way around the organization, and when it comes to forming a solid opinion on players, nothing will help him more than watching them for a full season. Also it's true that next season's draft class is expected to be better and that he might just have a bigger budget next summer -- enough to spend more money on free agents. So I think the picture you paint is a good one because Shero is focused on the future. "I had opportunities to trade away Ryan Whitney and Marc-Andre Fleury, and I'm not doing it. These are the guys you're going to win with moving forward. That's being patient. At the same time, I don't want to come to Pittsburgh and lose all the time. That's not fun. That's not development. That's not building. I want to be as competitive as we can be without mortgaging the future, without sacrificing the future." It remains to be seen how quickly the Penguins can become true Cup contenders. They've got quite a ways to go, but they also have a promising young base of talent that could get them there sooner than expected if Shero makes the right moves around them. Through Aug. 6, Shero has committed $11.77 million for the 2006-07 season to sign unrestricted free agents Mark Recchi, Mark Eaton, Jarkko Ruutu, Ronald Petrovicky and Micki Dupont; acquire Nils Ekman and Dominic Moore (who was then re-signed) in trades; and re-sign Ryan Malone (via arbitration), Brooks Orpik, Colby Armstrong and Marc-Andre Fleury. This figure does not include the signing of Libor Pivko, who was acquired from Nashville, or the signings of UFA Alain Nasreddine and 2003 pick Joe Jensen. It also does not include the savings of $910,000 the Penguins realized for 2006-07 by buying out the final years of contracts for Sebastien Caron and Shane Endicott, or the $984,000 Malkin could potentially earn this season if he signs. Playing better defense means you don't need as many goals to win, so that should help take pressure off Crosby. So will the potential signing of Malkin and the presence of Ekman, both of whom will likely see plenty of power play time with No. 87. As we've said before, it was only last season that the Penguins were active in the "big name" free agent pool and signed Sergei Gonchar, Ziggy Palffy and John LeClair. That didn't work out too well, so let's give Shero's approach some time. QUESTION: You had said in a previous answer that Sebastien Caron will not sign with the Penguins. What are the details to that situation? BOB GROVE: Sebastien Caron's contract was bought out by the Penguins in late June, making him an unrestricted free agent. He signed this week with the Chicago Blackhawks where he will compete in goal with Nikolai Khabibulin and Patrick Lalime. QUESTION: I understand the whole "rebuilding stage," but when there's money to spend why isn't Ray Shero signing bigger name players who will help Sidney Crosby? 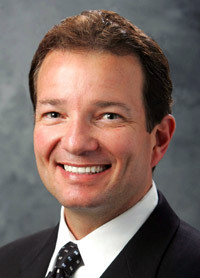 BOB GROVE: Ray Shero is working under a budget established by ownership, and there is not an unlimited amount of "money to spend." Instead of signing one or two "big name" free agents, Shero has attempted to upgrade the roster by adding grit, defense and depth through signings and trades that fit within his budget. While I agree that the Penguins need to find wingers to convert the brilliance of Sidney Crosby and the talent of Evgeni Malkin into goals, there are other ways to win games as well. Reducing the number of goals allowed and becoming a more difficult team to play against will also help get the desired result -- more victories. QUESTION: I didn't see Alain Nasreddine on your defense depth chart. Granted, he may not be the most talented or youngest of the pool, but in the 6 games he played in Pittsburgh last year, I think the Penguins had their best defensive efforts. BOB GROVE: At the time I composed my depth chart, Nasreddine was still an unsigned unrestricted free agent. He was re-signed by Pittsburgh Aug. 2. While Nasreddine did play pretty well in his brief time with the Penguins last season, he is a journeyman who seems destined to be a depth player at the NHL level right now. He can play a simple game, but he is not particularly physical or quick or good with the puck. But he is a familiar asset to Michel Therrien, and perhaps if he has a very strong camp he can make a pitch to start the season with the Penguins. I think it's unlikely, but it is possible. QUESTION: How likely would it be for Shero to go after Sergei Brylin and/or one of the Devil's defenseman? It seems like the devils aren't going to ask for much in return due to the cap. Brylin would be a great mentor for Malkin on the second line (assuming Malkin will be able to come here next season), and Brylin is the exact type of player Shero seems to prefer. Plus, he would only cost around a million per season. BOB GROVE: The Devils have major cap problems that are only going to get worse as the summer progresses, because they still have a number of unsigned players, including Brian Gionta and Paul Martin. Remember that the CBA rules stipulate only that you must be under the maximum salary level ($44 million this season) by the start of the season, so Lou Lamoriello still has time. He's got only one option, and that is to trade players. And you're right that New Jersey will not get true value in return, because everyone knows the Devils have to rid themselves of salary. I've always liked Brylin, but the guy I'd go after if he is available is defenseman Brad Lukowich. He's 30, will make only $1 million next season and already has a Cup ring from Dallas. The problem is that if the Devils have their choice, it's not likely they'll trade people inside the division. QUESTION: I was wondering if you knew anything about Ray Shero getting Marc-Andre Fleury a goalie coach? Fleury has so much potential, as we all know, and I think a full-time goalie coach would be one of the best things for him. BOB GROVE: Well, you and Ray Shero must be on the same wavelength. Gilles Meloche, who formerly served the team as a goaltending coach and scout, was hired as a full-time goaltending coach to work both in Pittsburgh and Wilkes-Barre. He replaces Gilles Lefebvre. I agree that Fleury needs some full-time attention from a guy who knows the position. Meloche certainly qualifies, having played 788 games in the NHL. But Meloche qualifies as a good candidate on several other levels. First, he's already worked with Fleury. Secondly, he's a Quebec native, like Fleury, and he knows what it's like to lose a lot early in a career. So far in the NHL, Fleury is 17-41-2 (.300 winning percentage) with a 3.36 goals-against average. Over his first three NHL seasons, the first of which consisted of two games with Chicago, Meloche was 30-57-27 (.381 winning percentage) with a 3.69 goals-against average. The Penguins were last overall in 2003-04 with Fleury as a rookie and next-to-last last season; The California Golden Seals had the fourth-worst record in Meloche's first full NHL season and were next-to-last the following season. I think Fleury's play during the 2006-07 season will go a long way toward determining the team's fate. And I think having a full-time goaltending coach like Meloche to help him is long overdue.